Dana Lee Jackson has worked in sustainable agriculture and food systems for over 35 years. 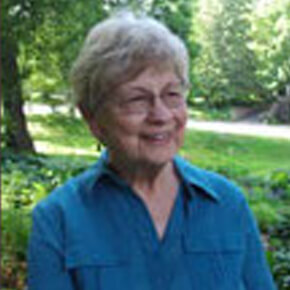 In 1976 she co-founded, with Wes Jackson, The Land Institute, where she held several positions until 1992. A senior advisor to the Land Stewardship Project in Minnesota and to local food projects in her community, she has also served on the Project in various capacities, first as a board member and later as associate director and coordinator of a Buy Fresh Buy Local initiative. Jackson has served on the board of directors of numerous nonprofit organizations, including the Kansas Rural Center, Rocky Mountain Institute, and the Minnesota Institute for Sustainable Agriculture as well as on the governing council of the Agriculture, Food and Human Values Society and as chair of the board of directors of the River Market Community Co-op in Stillwater, Minnesota. She is on the board of the Wild Farm Alliance, a national organization promoting agriculture that helps to protect and restore wild Nature, and the St. Croix River Scenic Coalition, where she focuses on the impact of agricultural land uses on water quality in this National Scenic River on the Minnesota/Wisconsin border. Jackson is co-editor with her daughter Laura Jackson of The Farm as Natural Habitat: Reconnecting Food Systems with Ecosystems (2002), a collection of readings about nature and farming. Her essays and articles have appeared in other books and publications as well. She received a Chevron Conservation Award in 1989 and a Pew Scholar’s Award in Conservation and the Environment in 1990. Jackson earned a B.S. in language arts education from the University of Kansas and an M.S. in public administration from Harvard’s Kennedy School of Government.